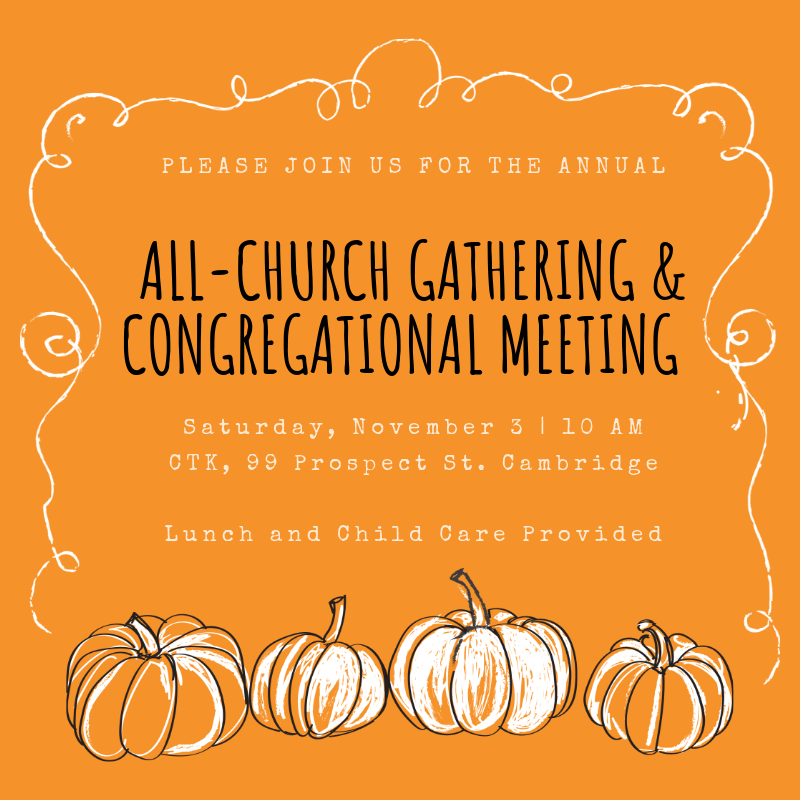 The members of the church met for a worship service followed by a congregational meeting and a fellowship lunch on Saturday, November 3, 2018. At the congregational meeting we elected deacons and approved deacons assistants for appointment. Congratulations to our new deacons and deacon assistants! We praise God for these servant-leaders! We also shared some updates about our life as a church. Many thanks to everyone who helped make for an amazing day: Sarah Goodman for organizing everything and for her tireless behind-the-scenes work, Lauren Pratt for leading our team of musicians from around the church, the deacons and tech crew in Cambridge, Rick Downs for serving us by word and sacrament, those who helped with childcare and kid’s activities, and everyone else who participated helping facilitate the day’s activities. We’re grateful to you!